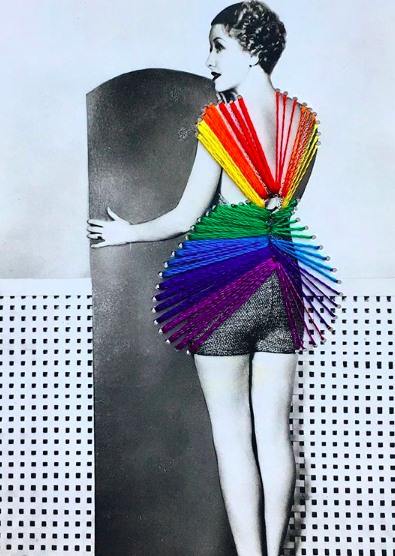 I love the work of Jamie Rawlings who sews over vintage photos. 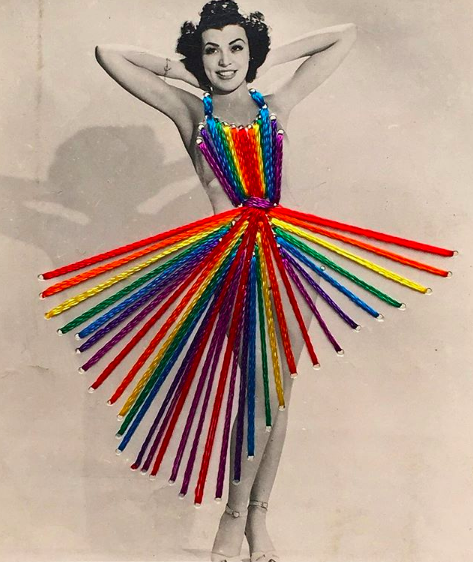 Recently he has found a stash of cigarette cards and has been sewing his characteristic spectrum stitches over these, dressing the barely dressed pin up girls. Each new batch of vintage photos, cards, postcards inspires him to sew his designs in different ways. On one set he has given the ladies new colourful hairstyles, and on others he has sewn over their faces giving them colourful masks which plays with the idea of filters found on social media camera apps, but in a truly analogue way.